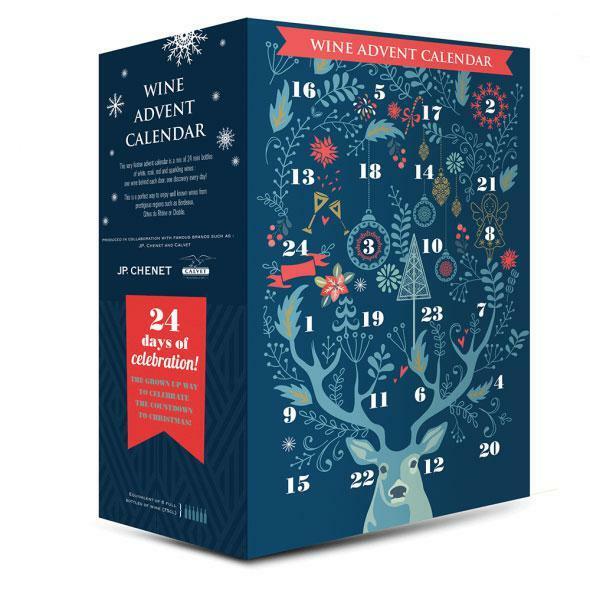 Last year, Aldi UK debuted a Wine Advent Calendar in its stores, selling it for £49.99, or £2 a bottle. In U.S. dollars, that comes out, in the current exchange rates, to around $63.50 per box, or $2.50 a bottle. The Wine Advent Calendars were popular, which is not a surprise given that the United Kingdom is one of the bigger alcohol-consuming countries in the world. Appropriately, Aldi UK is bringing the calendars back for the 2018 holiday season. The United States, of course, has its own tradition of alcohol consumption — plus the U.S. is, well, big — so it’s no surprise to hear that Aldi US has decided to bring the Wine Advent Calendars across the Atlantic as part of its annual holiday product lineup … and Aldi US is even serving up a separate side of cheese. Various outlets are reporting that the Wine Advent Calendars will hit Aldi US stores on Wednesday, November 7, 2018. (No word yet on whether this date also applies to Aldi stores that start their Special Buys on Sundays.) The Wine Advent Calendar will cost $69.99 and come with a variety pack of 24 different Aldi wine mini-bottles, including red, white, rosé, and bubbles. The price comes out to $3 a bottle; that appears to make it a little more than the Aldi UK version, but we’re not sure most American consumers will complain. In addition, Aldi US will also be selling a separate Advent Cheese Calendar — a brand-new item not previously sold elsewhere — for $12.99. This calendar, which launches the same day as the Wine Calendar, will come with 24 imported mini-cheeses. But if you miss out, there’s always the consolation prize: the Aldi Chocolate Advent Calendar, which, to be fair, is pretty good, too. * Pro tip: some Aldi stores put their stock out the afternoon or evening before the ads go live. Whether they do that for this item remains to be seen. I wonder how far I will have to travel to get this Advent Calendar? We unfortunate people in Kansas can’t have wine in our Aldi stores or any grocery stores for that matter. Depends on what side of the state you live in. Missouri sells them, I know.